On 1 December 2005, the USAF announced cyberspace would be an Air Force warfighting domain, and added cyberspace to the Air Force mission statement. Secretary of the Air Force Michael W. Wynne and Chief of Staff General T. Michael Moseley, in their joint letter, unveiled a rewritten mission statement for the United States Air Force: "The mission of the United States Air Force is to deliver sovereign options for the defense of the United States of America and its global interests--to fly and fight in air, space, and cyberspace." This new mission statement reflected the dramatic changes that had occurred in the world in the almost sixty years of the Air Force's existence, and was indicative of the ever-increasing importance of the cyber mission in the Air Force. 11/30/2012 - ANDERSEN AIR FORCE BASE, Guam -- This week, the 36th Mission Support Group highlights the 36th Logistics Readiness Squadron's fuels management cryogenics production element. Unique to a few locations in the Air Force, the team utilizes cryogenic technology to provide pure, clean breathing oxygen and clean, dry nitrogen in support of a multitude of units' aviation, medical and maintenance needs. "Since Andersen is geographically separated from other reliable sources, it is necessary and more cost effective to be able to produce liquid oxygen and nitrogen on site," said Staff Sgt. John Loker, 36th LRS fuels management cryogenics production supervisor. "This ability, coupled with facilities to service high-pressure cylinders, allow us to be completely self-sufficient and able to support everything from the fire department's nitrogen charged suppression system to the medical group's liquid nitrogen needs to providing pilots with breathable oxygen." Cryogenics production is the process of super cooling normal, outside air and causing the two main elements, oxygen and nitrogen, to liquefy. Each element liquefies at a different temperature; thus, depending on the desired product, incoming air cooled to a certain temperature will cause only one of the two elements to liquefy and be extracted. The product then goes through separate purification processes until the required purity of 99.5 percent or greater is reached. From there the oxygen or nitrogen is stored in tanks in a liquid state until needed by supported units. Cryogenics as a whole is a vital element, especially in supporting aircraft units. "Oxygen is necessary for high-altitude flight," said Sergeant Loker. "With liquid being 4,000 times more condensed than gas, a few gallons can support breathing for a significant amount of time. Nitrogen is a non-reactive, temperature stable gas making it useful for maintenance requiring thermal shrinking of parts. In gaseous form, it is also ideal for filling aircraft struts and tires." In continuing efforts to improve the efficiency of operation, while also solving maintenance issues, the cryogenics production element is currently making preparations for the addition of the incoming cryogenic plant, previously installed at Lajes Field, Azores. "This plant, a much needed replacement, is currently back at Integrated Nitrogen Systems in California completing an overhaul with state-of-the-art upgrades," said Sergeant Loker. "When installed, the addition will make our operation more efficient and provide an even safer work environment." With multiple units relying on the cryogenics production element to provide liquid nitrogen and oxygen in order to accomplish missions, the team continues to improve and expand, keeping Andersen well provided with these elements and proving to be an asset within the Asia-Pacific region. 11/30/2012 - JOINT BASE SAN ANTONIO -- LACKLAND, Texas (AFNS) -- 24th Air Force, the U.S. Air Force's cyber component to U.S. Cyber Command, took part in the Cyber Flag 13-1 training exercise at Nellis Air Force Base, Nev. Oct. 29-Nov. 8. USCYBERCOM designed Cyber Flag to bring together Department of Defense cyber and information technology professionals to hone their cyber skills against a realistic adversary in a tactical virtual environment. "Our increasing dependency on reliable and efficient network connectivity and the growing threat posed by cyber adversaries highlight the importance of practicing combined operations in defense of the DOD information infrastructure," said Capt. Christian Mapp, 24th Air Force exercise branch chief. "As the service provider for Air Force networks, 24th Air Force participation with the other service components is critical to ensuring a synchronized and coordinated approach to DOD network defense being available and capable should the need ever arise." Mapp said the Air Force assembled a total force team comprised of more than 70 active duty, Reserve and Air National Guard cyber warriors from across the nation. This year's Cyber Flag was larger than the first Cyber Flag held in 2011 on the same cyber range. This year's exercise saw approximately 700 participants, up from last year's 300, and doubled the network size. All participants had a specific role to play, playing the part of a U.S. team or role-playing an adversary. "Exercises like Cyber Flag test participants' readiness when faced with a realistic cyber event in a stressed environment against a dynamic and skilled adversary. This was not a simple 'capture the flag' event," said Col. George Lamont, director of USCYBERCOM Joint Exercises and Training. The exercise included an opposing force whose mission was to penetrate and disrupt the computer networks of the "good guys," or Blue Force - made up of DOD cyber service components. Lt. Col. Jamie Maki, 24th Air Force chief of exercise and training chief, said Cyber Flag is designed to provide realistic training opportunities for a number of DOD commands to deter and, if necessary, defeat a cyber attack. Additionally, much like Red Flag is to the air world, Cyber Flag aims to give cyber operators experience with tactics, techniques and procedures of our cyber adversaries and test our own tactics, techniques and procedures. The teams were given opportunities to coordinate actions across the offensive and defensive spectrum as well as partnering with our sister services. Despite this only being the second Cyber Flag, Maki said some of the key successes of the exercise included such efforts as the integration of cyber intelligence analysts proving invaluable to the mission planning cell, ultimately enhancing the defensive posture and virtually eliminating stovepipe efforts. 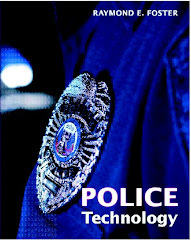 Additionally, the collaboration between teams detecting cyber intrusions and first responders leveraged tactical insights and skill sets yielding greater synergy and mission effectiveness. Finally, the exercise partnered service teams with coalition partners highlighting the global nature of the cyber domain. "Through the use of a virtual network environment, individuals supporting Cyber Flag benefited by gaining exposure to problem sets they may not normally experience in their day-to-day jobs. Furthermore the event affords the opportunity to work in concerted effort with their sister-service counterparts to operate and defend DOD networks across the full spectrum of operations against a realistic adversary," Mapp explained. Cyber security continues to be a priority across the government. The DOD has a critical role in developing and supporting the nation's cyber security efforts. "Cyber Flag highlights the interconnected nature of the DOD information infrastructure, making the key takeaway from Air Force Cyber Command's participation in Cyber Flag the necessity to demonstrate a holistic approach for clearing the net and securing the high ground," said Mapp. 11/29/2012 - JOINT BASE SAN ANTONIO-RANDOLPH, Texas -- The need to communicate with 80,000 employees at three geographically separated locations in San Antonio is a challenge, and the launching of the Joint Base San Antonio mobile app will provide basic information about the primary locations at the users' fingertips. The mobile app, called "JBSA," is available for download today through the Apple App Store and the Google Play Store. "Our original intent was to create a mobile app that newcomers would use," said Dan J. Solis, JBSA-Randolph Public Affairs photo imaging chief and team lead for the app project. "By the time we reached completion, the team had created a tool that students, employees and family members can use daily." The "native" JBSA mobile app, which translates to mean an app created for a certain mobile device not one that is web-based, includes information about services and support facilities at each location with hours of operation and phone numbers and even amenities particular to the locale. "Regardless of service affiliation, this app should prove valuable for all of JBSA's members," said Brig. Gen. Theresa Carter, JBSA and 502nd Air Base Wing commander. "No matter where you live or work across San Antonio, you'll find information you can use whether you're scheduled to relocate here or if you're a long time resident." Prominently featured on the new site is a feedback section, which allows visitors to make suggestions, ensuring the app remains relevant, valuable and a highly-used information source. As part of the vetting process, more than 100 Army, Navy and Air Force members, government service employees and family members across all three primary JBSA locations were given the opportunity to provide feedback. "We tried to keep 'one stop shopping' in mind with the app," Solis said. "With updates, we expect to be able to increase bells and whistles for the app. For now, our main focus was to consolidate information that realistically is available at the press of a couple of buttons." The PA team most recently consolidated websites from JBSA-Fort Sam Houston, Lackland and Randolph to create the JBSA website at www.jbsa.af.mil. The majority of the website information is now a part of the mobile app. Joint Base San Antonio is the largest of the 12 joint bases created under the Base Realignment and Closure Act of 2005. JBSA includes three primary locations at JBSA-Fort Sam Houston, JBSA-Lackland and JBSA-Randolph, plus eight other operating locations and more than 200 mission partners. WASHINGTON, Nov. 30, 2012 – South Carolina Gov. Nikki Haley said an international hacker is responsible for illegally obtaining 4 million social security numbers from electronically filed state tax returns dating back to 1998. Defense Department and South Carolina officials are notifying U.S. service members of the recently discovered cyber intrusions, Haley said today in an interview with The Pentagon Channel. Defense officials said the intrusions also involve several hundred thousand credit and debit card numbers and other information. The cyber intrusions likely took place in August and September, according to South Carolina officials. The system, officials said, is now considered secure. Officials said they believe that the majority of personal data was protected by encryption, but some 16,000 accounts were not. Emphasizing the state government is doing everything possible to protect civilian and military who live, or once lived, in South Carolina, Haley said anyone who has electronically filed state taxes since 1998 should contact the credit agency Experian through the state’s Department of Revenue website to sign up for a security system provided free of charge. The governor said DOD, the state, a bankers’ association and LexisNexis are all tracking down service members and their families to advise them that their information might have been compromised. South Carolina is “a strong military state, which always thinks of military members first, whether it’s hacking or taking care of family members while [service members] are overseas, and that we’re honoring them the way we’re supposed to,” the governor said. Haley, a military spouse, says it’s “a necessity” to locate military members and notify them of the cyber intrusions. 11/28/2012 - JOINT BASE MCGUIRE-DIX-LAKEHURST, N.J. -- Members of the 305th Aerial Port Squadron here are using a sophisticated electronic system that streamlines the unit's cargo processing. Aerial transportation specialists are employing the Deployable Automated Cargo Measurement System to prepare vehicles and equipment for airlift. "It creates a standard through-put operation that allows us to process cargo quickly," said Capt. Andrew Gordon, 305th APS operations officer. "This system allows APS to utilize nearly any solid flat surface to process cargo." The system consists of two laser-enabled reading posts and a set of digital floor-pad sensors, which takes digital measurements required for the unit's automated load-planning systems. The unit acquired DACMS in 2011 as APS planners forecasted several construction projects, which would likely affect the unit's ability to conduct inspections in fixed facilities. "The benefit to DACMS is it's a very versatile, portable system," said Gordon, a Smithfield, Va., native. "We can set it up practically anywhere." The process is fairly simple once DACMS is set up. "You just drive through it," said Senior Airman Marquis Cole, 305th APS aerial transportation specialist and an Independence, La., native. "The system makes a digital blueprint of the vehicle and then provides us with the key information." DACMS can measure and record a vehicle's length, width, height, weight, number of axles and center of balance in less than 20 seconds, and without the vehicle operator having to come to a halt. "Once a vehicle is processed, the load planners take the data and, essentially, create digital puzzle pieces, which they then use to create load plans for upcoming airlift missions," said Gordon. "All of the data DACMS calculates is significant. It allows us to quickly determine how to load the vehicles and keep the weight balanced on the aircraft." APS recently found this system effective in the base's recent Hurricane Sandy response. "We used DACMS extensively during the hurricane-relief redeployment," said Gordon, a graduate of Clemson University, S.C. "The outbound units requiring airlift preparation would have quickly log jammed without the system. In short, processing time was significantly reduced through the use of this system." Additionally, DACMS's portability allowed APS personnel to separate standard operations from hurricane-response operations by processing the cargo in different areas. Unit personnel fulfilled two missions simultaneously while maintaining efficiency and expediency. "Our normal operations did not stop because of the hurricane," said Gordon. "By separating normal 'ops' from hurricane 'ops,' each maintained its solidarity and quality." WASHINGTON – A third member of the Internet piracy group “IMAGiNE” was sentenced today to 40 months in prison, and a fifth member of IMAGiNE pleaded guilty today for his role in the conspiracy, announced Assistant Attorney General Lanny A. Breuer of the Justice Department’s Criminal Division, U.S. Attorney Neil H. MacBride for the Eastern District of Virginia and Special Agent in Charge John P. Torres of U.S. Immigration and Customs Enforcement Homeland Security Investigations (ICE-HSI) in Washington, D.C.
Gregory A. Cherwonik, 53, of Canandaigua, N.Y., was sentenced today by Senior U.S. District Judge Arenda L. Wright Allen in the Eastern District of Virginia. In addition to his prison term, Cherwonik was sentenced to serve three years of supervised release and ordered to pay $15,000 in restitution. Cherwonik pleaded guilty to one count of conspiracy to commit criminal copyright infringement on July 11, 2012. Javier E. Ferrer, 41, of New Port Richey, Fla., pleaded guilty today to one count of conspiracy to commit criminal copyright infringement before U.S. District Judge Henry C. Morgan Jr. in the Eastern District of Virginia. At sentencing, scheduled for March 14, 2013, Ferrer faces a maximum sentence of five years in prison. Cherwonik was indicted along with three other defendants on April 18, 2012, for their roles in the IMAGiNE Group, an organized online piracy ring that sought to become the premier group to first release Internet copies of movies only showing in theaters. Ferrer was charged in an information on Sept. 13, 2012, for his role in the IMAGiNE Group. According to court documents, Cherwonik, Ferrer and their co-conspirators sought to illegally obtain and disseminate digital copies of copyrighted motion pictures showing in theaters. Cherwonik admitted to ordering a receiver to be used to capture the audio sound tracks of copyrighted movies (referred to as “capping”). Cherwonik wrote the computer code for the IMAGiNE Group’s website. He also worked with another IMAGiNE Group leader to establish a PayPal account for donations made to support the site and to create the new website, which was hosted on a computer server in France. Ferrer admitted he secretly used a video camera to film copyrighted motion pictures in movie theatres. He then used software to synchronize an audio file with his illegally obtained video of the movie to create a completed movie file suitable for sharing over the Internet. According to testimony by a representative of the Motion Picture Association of America, the IMAGiNE Group constituted the most prolific motion picture piracy release group operating on the Internet from September 2009 through September 2011. Co-defendants Sean M. Lovelady, Willie O. Lambert and Jeramiah B. Perkins each pleaded guilty to one count of conspiracy to commit criminal copyright infringement on May 9, June 22 and Aug. 29, 2012, respectively. Lambert and Lovelady were sentenced on Nov. 2, 2012, to 30 months and 23 months in prison, respectively. Perkins is scheduled to be sentenced on Jan. 3, 2013. The investigation of the case and the arrests were conducted by agents with HSI. Assistant U.S. Attorney Robert J. Krask of the Eastern District of Virginia and Senior Counsel John H. Zacharia of the Criminal Division’s Computer Crime and Intellectual Property Section (CCIPS) are prosecuting the case. Significant assistance was provided by the CCIPS Cyber Crime Lab and the Criminal Division’s Office of International Affairs. This case is part of efforts being undertaken by the Department of Justice Task Force on Intellectual Property (IP Task Force) to stop the theft of intellectual property. Attorney General Eric Holder created the IP Task Force to combat the growing number of domestic and international intellectual property crimes, protect the health and safety of American consumers, and safeguard the nation’s economic security against those who seek to profit illegally from American creativity, innovation and hard work. The IP Task Force seeks to strengthen intellectual property rights protection through heightened criminal and civil enforcement, greater coordination among federal, state and local law enforcement partners, and increased focus on international enforcement efforts, including reinforcing relationships with key foreign partners and U.S. industry leaders. To learn more about the IP Task Force, go to www.justice.gov/dag/iptaskforce . This investigation was supported by the HSI-led National Intellectual Property Rights Coordination Center (IPR Center) in Washington. The IPR Center is one of the U.S. government’s key weapons in the fight against criminal counterfeiting and piracy. As a task force, the IPR Center uses the expertise of its 21 member agencies to share information, develop initiatives, coordinate enforcement actions and conduct investigations related to IP theft. Through this strategic interagency partnership, the IPR Center protects the public’s health and safety, the U.S. economy and our war fighters. JOINT BASE SAN ANTONIO-FORT SAM HOUSTON, Texas, Nov. 29, 2012 – Doctors from San Antonio Military Medical Center here saved a young mother’s life last month using cutting-edge technology historically reserved for infants and young children. The case marked the first time the medical center has treated an adult with extracorporeal membrane oxygenation, or ECMO, a heart-lung bypass system that circulates blood through an external artificial lung and sends it back into the patient’s bloodstream. Cannon first heard of the case a few months ago, while he was in the midst of a surgery. He had asked to be paged whenever patients in the hospital developed severe lung injury so he could assess them for ECMO treatment. The patient -- referred to as “Jane” in this article to protect her privacy -- woke up several days earlier with itchy, irritated eyes, but she and her doctor chalked it up to an infection or a virus. It wasn’t until her symptoms spread and worsened that she decided an emergency room visit was in order. A few hours later, Jane was diagnosed with severe toxic epidermal necrolysis, or TENS, an autoimmune reaction to medication. She was flown by helicopter from her south Texas hometown to the U.S. Army Institute of Surgical Research’s Burn Center, the Defense Department’s only burn center, which is located in the medical center here. The TENS progressed quickly, and by the time she reached the hospital, Jane’s skin was sloughing off, her lungs were filling with fluid and tissue, and her vital organs were failing. She was admitted to the Burn Center on Sept. 15 and initially was stabilized. However, when her condition worsened, Cannon was alerted. Cannon and a select team of specialists had been training for this moment for more than a year, thanks to a Defense Department grant that provided ECMO supplies, training funds and equipment to explore the use of ECMO on adults. ECMO is commonly used in neonatal intensive care units around the world on newborns with lung issues such as meconium aspiration, a medical condition that occurs when infants ingest their first stool before or during delivery. However, adult applications are much less common, mainly due to a lack of recent patient data. Cannon, however, had been observing ECMO successes since his residency and strongly believed in its outcomes for adults, particularly for patients on the brink of death. He had transferred to SAMMC from the Air Force’s Wilford Hall Medical Center, which had the military’s only infant and child ECMO center, so he had ongoing exposure to the technology. Along with its experts, the neonatal ECMO center transferred to SAMMC last year. The same day she checked in, Jane was put on ECMO, and stayed on it for 23 days. It was touch-and-go at first, Cannon noted. “It was agonizing for 22 of those 23 days,” he recalled. Finally, on Day 21, Jane’s lungs started to clear, and two days later, staff transitioned her from ECMO to a standard ventilator. “Within a day and a half, she went from profoundly ill to greatly improved,” Cannon said, noting the team effort of experts across the hospital. “It was exhilarating to see her get better, thanks to a concerted effort,” he added. Maria Serio-Melvin, ISR nurse research consultant, also credited the procedure’s success to an “intense, collaborative, cooperative effort” between the ISR and ECMO teams. Jane’s lungs and skin are still healing, but Cannon said he has high hopes for his patient, as well as for other SAMMC patients who can be helped through ECMO. Cannon also said he hopes to see an increased use of adult ECMO in the war zone, where it’s already proved lifesaving for several troops. In 2010, an ECMO-trained team picked up a soldier in Kandahar, Afghanistan, who had been shot in the chest. His right lung had to be removed, a procedure that typically carries a 100 percent mortality rate. However, the lung team placed him on ECMO and he quickly recovered in a hospital in Germany. Cannon recalled meeting this patient a few weeks after he arrived at SAMMC. “He’s married now and enjoying life,” he said. Since then, there have been five ECMO transports from the battlefield to Germany, he added. Cannon said his long-term vision is to see ECMO patients transported directly from the battlefield to a stateside location, such as the medical center here, for their recovery. “We’ve proven we can very safely take care of even most critically ill patients, and I’m very optimistic we’ll be able to offer these services to wounded warriors throughout their continuum of care,” he said. Based on recent successes around the nation, Cannon said, he expects to see a resurgence in ECMO research around the world, which will help to build confidence in the technology for adults. A trial with strict research protocols based in France is now under way and promises to answer some of the unknowns that remain about the use of ECMO in adults, he noted. 11/28/2012 - SCOTT AIR FORCE BASE, Ill. -- Air Force Network Integration Center engineers recently provided support to U.S. Cyber Command's annual cyber exercise, Cyber Flag 13-1, which took place Oct. 29 - Nov. 8 at Nellis Air Force Base, Nev.
Cyber Flag, a joint cyberspace training exercise, is designed to provide realistic training opportunities for a number of Department of Defense commands to deter, and if necessary, defeat a cyber attack against the department. To provide this realistic training, USCYBERCOM called upon the expertise and capability of AFNIC's Cyber Force Integration Team. For over 10 years, this team has managed and maintained the Air Force's Simulator Training Exercise (SIMTEX) range, which simulates the service's three-tiered network operations and security structure, giving cyber operators valuable hands-on experience within a safe, secure environment that is separate from the operational network. The Cyber Flag exercise specifically employed a unique capability of SIMTEX called the Global Range Internet (GRI), which offers a realistic World Wide Web framework that allows for training in an environment similar to the live internet. With dynamic services such as websites, core Domain Name Server (DNS) infrastructure, foreign country emulation, and artificial, yet realistic network traffic, users experience the same environment as if they were on the real Internet. The GRI even simulates popular social media sites, allowing for cross-collaboration among exercise participants. "This [Global Range Internet] was the gray, or neutral, zone ... everybody traversed through us," said Capt. Andrew Dunn, chief engineer for Cyber Force Integration. Just as with air ranges that pilots use to practice maneuvers, he said the cyber range provides the same opportunity for cyber operators and defenders to practice maneuvers through cyberspace. SIMTEX is frequently used in Air Force and joint cyber exercises, as well as for training of cyber operators through units such as the 333rd Training Squadron at Keesler AFB, Miss., and the 39th Information Operations Squadron at Hurlburt Field, Fla. Dunn noted that participating in exercises like Cyber Flag helps his team to ensure SIMTEX simulates the network closely to provide the best possible training opportunities for new Airmen entering the cyberspace career field. "When we support these exercises we get to interface with the people doing actual missions ... when they give us new requirements or say, 'We want to see this happen on the range,' we can adjust as needed or simply change the tactics," Said Dunn. "We then filter the [range or tactic] updates to the schoolhouse ... that way things are kept fresh and relevant, which is important because cyber is always changing." Participants in this year's Cyber Flag included personnel from the DOD, all four services, government agencies, and academia from national labs--all key players in securing cyber networks and deterring cyber-attacks. With cyber security a priority for the U.S. government and coalition partners, USCYBERCOM conducts events such as Cyber Flag to exercise and institutionalize its cyber forces and capabilities to ensure they meet their mission of defending and operating the DOD networks, and ensuring U.S. and allied freedom in cyberspace. WASHINGTON, Nov. 28, 2012 – The Defense Department and South Carolina officials are notifying military members and families who paid state income taxes there that they may have been victims of information/identity theft as a result of several recent cyber intrusions. South Carolina’s Department of Revenue reported nearly four million Social Security numbers and several hundred thousand credit and debit card numbers belonging to current and former taxpayers may have been stolen during cyber intrusions in August and September. The intrusions were discovered last month, officials said. While South Carolina officials believe their system is now secure, Gov. Nikki Haley said the state is offering one year of free credit monitoring and identity protection to anyone who might have been exposed and applies for it. “The number of records breached requires an unprecedented, large-scale response,” she said. DOD personnel and their family members who are current or former South Carolina taxpayers, especially those who are living abroad, are urged to visit www.ProtectMyId.com/SCDOR or contact Experian’s national consumer assistance center at 1-866-578-5422 by January 31, 2013, to enroll in identity theft protection. 11/28/2012 - SCHRIEVER AIR FORCE BASE, Colo. (AFNS) -- Members of the 1st and 7th Space Operations Squadron took notice when an upper stage Russian rocket disintegrated in low earth orbit Oct. 16. The break up introduced an estimated 500 pieces of debris into an area where the U.S. operates a multitude of satellites, further congesting an already crowded orbit around Earth. The event sheds light on an ever-growing issue for the space and satellite industry, one that seemed far fetched only a few years ago. "The idea that big space would someday become crowded was more theory than fact," said Lt. Col. Mike Manor, 1 SOPS commander. "Now, the reality is that space is growing seemingly smaller as more objects are now orbiting Earth. Few people realize there are men and women dedicated to assuring safe passage for our assets in space." The Space Based Space Surveillance satellite and its sister, the Advanced Technology Risk Reduction satellite, were designed to provide space situational awareness of the geostationary belt, but increasingly are being tasked to support space situational awareness in other orbits as well. A collision with something as small as a bolt, a rivet, even bits of shrapnel, traveling at a high rate of speed can render a satellite inoperable, if not totally destroy it, thus it's becoming ever more important to accurately track such debris. Along with radar and optical sensors on the ground, SBSS and ATRR are providing that tracking data to the Joint Space Operations Center, the organization that keeps a real-time catalog of orbiting objects. Maj. Patrick Slaughter, 1 SOPS assistant director of operations, says demand for this tracking data will do nothing but grow in the years ahead as space gets more congested and contested. "For the longest time, we as a nation, held on to the idea that space is a big place, but most people don't understand what's happening up there," he said. "Break ups like this add to the congestion, but we also have events like the Chinese Fengyun incident, that brought attention to the idea of contested space." In 2007, the Chinese government demonstrated the effectiveness of an anti-satellite system by destroying one of its own weather satellites, the Fengyun-1C weather satellite, via a ground-launched missile. Besides creating a large debris field, the event showed that China possesses the capability to "kill" a satellite in LEO. Manor pointed out that it's not a big leap to assume they could do this to a U.S. satellite. "The number of debris avoidance maneuvers required by the International Space Station has significantly increased since that incident," Slaughter said. "Then we had the Iridium-Cosmos collision in 2009, where a U.S. and Russian satellite collided over Siberia. We have to maneuver our LOE satellites around that debris field as well." Manor said these combined events, among others, have not only helped drive international policy negotiations, but signaled that the world has recognized a need for better awareness of what's happening in space. "We can use the evolution of air travel as a model," he said. "When the Wright brothers first took flight the skies were open. Gradually, more aircraft shared the skies and eventually we reached a point where we needed air traffic controllers and regulation to keep air travel safe. Now, we've taken the rudimentary steps for space traffic control." When the JSPOC detects a satellite is on course to collide with something, they provide a warning to that system's operators. No doubt similar conversations happen hundreds if not thousands of times a day between air traffic controllers and pilots. Placing this all in perspective, why does it matter what operations crews at 1 and 7 SOPS do? "Along with the ground tracking stations and the JSPOC, our team is keeping watch over space and will remain vigilant in keeping the domain as safe as possible," Manor said. "These collective efforts not only help minimize the potential for disastrous events, but also keep the space domain in a condition for continued utilization by all nations. 11/28/2012 - SCHRIEVER AIR FORCE BASE, Colo. -- Members of the 1st and 7th Space Operations Squadrons took notice when an upper stage Russian rocket disintegrated in low earth orbit Oct. 16. The break up introduced an estimated 500 pieces of debris into an area where the U.S. operates a multitude of satellites, further congesting an already crowded orbit around Earth. "Along with the ground tracking stations and the JSPOC, our team is keeping watch over space and will remain vigilant in keeping the domain as safe as possible," Manor said. "These collective efforts not only help minimize the potential for disastrous events, but also keep the space domain in a condition for continued utilization by all nations." CAMP ATTERBURY, Ind. (11/28/12) - Members of Kentucky’s fifth agribusiness development team participated in XCapture training and development in November in preparation for deployment to Afghanistan. XCapture is a Web-based tool that will help ADT 5 document and share experiences and lessons learned while conducting missions overseas. These unclassified mission reports will be accessible to personnel who would like to learn more about what ADTs are doing during their deployment. Although XCapture is still in the research and development stage, ADT 5 has been actively participating with XCapture developers to enhance the software user experience and mission information collection process. The feedback and suggestions provided will make this a tool that ADTs from other states can use to view unclassified agribusiness project data, mission story boards, and lessons learned from any computer connected to the internet. In addition to inputting data into a Web-based interface, ADT 5 will also be assisting the developers with a mobile version of XCapture that can be used on Android-based tablets. This added capability will allow team members to create field-expedient reports with pictures and audio clips that can be transferred to the XCapture web interface upon return to the forward operating base. Heather Hodgin, project manager for XCapture, explained how ADT 5 has been helping with the research and development of the project. 11/20/2012 - EDWARDS AIR FORCE BASE, Calif. -- Since the beginning of the partnership between the Department of Defense, NASA and Lockheed Martin, the Automatic Ground Collision Avoidance System has evolved into an instrument intended to keep civilian and military aircrew members fit to fly and fight another day. More than 25 years later, team members from the 416th Flight Test Squadron continue to test that life-saving technology in order to see it fully integrated and implemented into the Air Force's fourth generation fighters. "Controlled flight into terrain, or CFIT, has proven to be a significant contributor to loss of life and aircraft in the U.S. Air Force fighter aircraft fleet. Between 1992 and 2004 there were 34 F-16 CFIT mishaps with 24 fatalities in the U.S. Air Force. The Auto GCAS was developed under the Automatic Collision Avoidance Technology program to reduce the number of CFITs in direct response to a Secretary of Defense-mandated 75-percent reduction of DOD mishaps," said Jessica Peterson, 416 FLTS flight dynamics lead. "From the combat effectiveness standpoint, each aircraft lost to CFIT is one less asset combatant commanders have to employ during wartime. Clearly, that impacts our national security," added Lt. Col. Robert Ungerman, 416 FLTS director of operations. "From the human standpoint, nothing destroys morale like losing a squadron mate and friend. Families and friends are devastated with each F-16 fatality we experience. The prevention of CFIT mishaps will avoid that anguish for dozens of spouses, parents, and children of lost pilots." According to the flight dynamics team, the Auto GCAS is designed to prevent CFIT mishaps by executing an automatic recovery maneuver when terrain impact is imminent. The system predicts CFIT conditions by means of a continuous comparison between a trajectory prediction and a terrain profile that is generated from onboard terrain elevation data. At the instant the predicted trajectory touches the terrain profile, the automatic recovery is executed by the Auto GCAS autopilot. The automatic recovery consists of an abrupt roll-to-upright and a nominal 5-g pull until terrain clearance is assured. The Auto GCAS recovery maneuver can be terminated at any time by the pilot. "The Auto GCAS was not only designed to prevent CFIT, but to not interfere during normal F-16 operational maneuvers such as strafing missions and low-level flights," added Peterson. "Furthermore, since spatial disorientation is a common cause of CFIT mishaps, the Pilot Activated Recovery System, or PARS, was designed to provide a disoriented pilot with a way to manually engage an automated recovery." The Air Force Research Laboratory, in partnership with the NASA Dryden Flight Research Center, Lockheed Martin Aero and the Air Force Flight Test Center initially demonstrated the feasibility of integrating an Auto GCAS and a PARS into the F-16 during the Fighter Risk Reduction Project in 2010, conducting more than 2,000 auto-recoveries. "Although there are other automatic systems in development for other platforms, nothing has been implemented at this point," Peterson said. "Since 2010, minor changes have been made to increase the protection envelope and decrease nuisance potential by making adjustments to the trajectory predictions, automatic recoveries, altitude buffers and the pilot-vehicle interface." The F-16 design try out flight test program has been ongoing at the 416 FLTS since fall 2011. "In the end, Auto GCAS is an amazing compilation of technologies that will provide the final safety net should a pilot ever unknowingly put the aircraft in danger of hitting the ground," said Maj. Kyle Schlappi, 416 FLTS Auto GCAS project test pilot. "Once AGCAS is fully fielded, I imagine we'll see an abrupt decrease in fatal F-16 accidents as the CFIT rate drops to nearly zero. To the warfighter, and the warfighter's family, Auto GCAS provides significant peace of mind to know such a capable system is keeping our pilots safe." The F-16 Auto GCAS is projected to save the U.S. Air Force 14 F-16 aircraft, 10 personnel, and $530 million over the future life of the F-16, according to Peterson. The system is expected to be fielded on all U.S. Air Force Block 40/42/50/52 F-16s by spring 2014, which totals approximately 640 aircraft. Colonel Edward F. Blum was responsible for the engineering and development of the Research Missile(RM)-81 or Agena upper-stage vehicle, the first successful spacecraft designed to serve a wide variety of on-orbit programs, beginning with the world's first reconnaissance satellite. He oversaw the design and development of all the Agena subsystems--propulsion, electrical power, attitude control, stabilization, telemetry communications and control, as well as recovery equipment aboard aircraft. He established the production line that turned out more than 260 Agenas used by Discoverer/Corona and other National Reconnaissance Office programs, NASA's Lunar Orbiter and Mariner interplanetary probes and other space projects. 11/23/2012 - JOINT BASE ELMENDORF-RICHARDSON, Alaska -- Many are surprised to discover that the largest organ the human body has is the skin. Skin provides a physical barrier against harmful, external factors. The F-22 Raptor, much like the human body, has a layer of skin called low observable. LO not only assists in retaining the jets' stealth capabilities but also prevents corrosion and other damages. Like human skin, the F-22's coating consists of several layers. The surface of the F-22 appears to be a simple gray paint, but in reality the high-tech surface renders one of the largest fighter jets virtually undetectable by radar. "Arguably the most important capability of a fifth generation fighter, like the Raptor, is what low observable delivers - the stealth," said Air Force Maj. Patrick Pearson, a 3rd Wing F-22 pilot. The benefits of stealth technology may escape some in terms of air combat. The ability of the F-22 to prosecute a lethal attack while remaining undetected is why it has the highest air-to-air kill ratio of any other fighter in simulated combat. While incredible lethality has defined F-22 tactics, the aircraft has also become known for its unmatched survivability. "Survivability is the biggest [factor], so the jet and the pilot can come back," said Airman 1st Class Emmanuel Marioni, 3rd Maintenance Squadron LO technician. Lethality and survivability are critical issues for the men and women in the LO shop, comprised of active duty Airmen from the 3rd Maintenance Squadron and reservists from the 477th Maintenance Squadron. Their daily work readies F-22 pilots to defeat the most advanced adversarial aircraft and surface to air missile systems. Once a week, the LO shop conducts outer mold line inspections on the Raptor. All the information is placed into a database that rates its stealth capability, called a signature assessment system. "The lower the SAS rating, the stealthier a jet is," said Senior Master Sergeant Dave Strunk, 477th Maintenance Squadron Fabrication Flight chief. LO application falls into two areas - the removal of coatings to facilitate other maintenance and the removal and replacement to bring the SAS rating down. The job of an LO technician can be a challenging one requiring a high level of attention to detail and adherence to safety precautions. "We are working all day every day," said Air Force Staff Sgt. Matthew Duque, 477th Maintenance Squadron LO technician. "We have 24/7 coverage to ensure a steady flow of progress from the start of a repair to finish. Our accurate cataloging of damages and sound repairs ensure that the aircraft is performing as designed." The skin from the body can be taken for granted until it is damaged. The behind-the-scenes efforts of the men and women of the 3rd Maintenance Squadron and the 477th Maintenance Squadron keep the Raptor at the top of its game. "The constant attention to detail and upkeep from our LO section is essential to projecting the F-22's combat capability," Pearson said. "Knowing that our jets are fully ready to go gives me the confidence I need get the job done." With reporting from Air Force Capt. Ashley Conner, 477th Fighter Group Public Affairs. 11/16/2012 - BUCKLEY AIR FORCE BASE, Colo. -- The 8th Space Warning Squadron recently donated about 50 computer systems, approximately a $14,000 value, to Morton Elementary School part of the Pueblo City Schools. Classrooms that had one or two computers in them will now have at least five up-to-date systems along with a computer lab consisting of 32 computers. More than 500 students will be reached by the advanced technology, providing a better academic environment. "We are very appreciative of the opportunity to have technology accessible for our students," Principal Floyd Gallegos wrote in a thank you letter to the squadron. "Thank you for all your diligent efforts in making this process work for us and your patience with our district in trouble shooting the many road blocks that occurred." The lengthy process, which started in April 2012, was well worth it, according to Staff Sgt. Jeffrey Achuff, 8 SWS satellite systems operator. Achuff was a part of the team that helped wipe all the hard drives clean and ensured the school received them. The school had been struggling to get new equipment, according to Achuff, and during the delivery there was a lot of energy and excitement because the faculty was so happy. 'They sure are... I told you we'd get some new ones,' said the teacher. The little girl said 'Awesome!' with a high-pitched, excited tone." The first step was replacing 8 SWS's old computer systems with new ones. The computers still considered functional had their hard drives wiped clean, a requirement before the school could have them. Wiping the hard drive is a several hour process per computer. Lots and lots of paperwork was needed to complete the transfer. According to Senior Master Sgt. Robert Pacheco, 8 SWS first sergeant, the most crucial part of the transfer is to make sure the organization has a non-profit contact and somebody is willing to sign for the equipment to ensure the equipment is not sold and a profit is never made. "You just can't give up because you're going to run into some road blocks, but you just got to keep working with people," Pacheco said. "These kids without technology are falling further behind." Achuff stated that he believes more Air Force units should strive to donate their old equipment if possible. "Put them to good use and enrich the learning environment for the next generation of leaders, including possible future Airmen," Achuff stated. WASHINGTON, Nov. 21, 2012 – The new Defense Department space policy, updated to reflect the fast-growing use and sometimes misuse of the space domain, addresses issues of safety, sustainability and security in space for the 21st century and beyond. The policy, signed Oct. 18, 2012, by Deputy Defense Secretary Ashton B. Carter, follows the release in 2010 of President Barack Obama’s National Space Policy, and in 2011 of the National Security Space Strategy, the first such strategy to be cosigned by the defense secretary and the director of national intelligence. DOD’s space policy also reflects the 2012 DOD Strategic Guidance, which acknowledged growth in the number of spacefaring nations and threats. According to the guidance, the United States will continue to lead global efforts with allies and partners to assure access to and use of the global commons of space by strengthening international norms of responsible behavior and maintaining interoperable military capabilities. “Space capabilities have long provided strategic national security advantages for the United States,” Carter said in a statement. For DOD, space systems are critical to ground navigation, smart bomb precision, and to relay unmanned aerial vehicle feeds to troops. Space also is necessary for early warnings of missile launches and for keeping the president connected to U.S. nuclear forces. In an interview with the Pentagon Channel and American Forces Press Service, Dr. John F. Plumb, acting deputy assistant secretary of defense for space policy, described the policy’s main points. “One is that the Department of Defense will deter attacks on our space systems and the systems of our allies, and [the policy] lays out some ways we’re going to do that,” Plumb said. Methods to deter disruptions or attacks against space-based systems, according to the policy, include supporting the development of international norms of responsible behavior related to the space domain, building coalitions to enhance collective security, enhancing the resilience of the U.S. space enterprise, and being able to respond to an attack on U.S. or allied space systems using all elements of national power. One of the international norms of responsible behavior will target a growing problem for spacefaring nations -- space debris. “Today there are 60 countries operating in space [and] there are thousands of pieces of debris, pieces of [derelict] rockets or old satellites … flying around in space,” he said. According to the NASA Orbital Debris Program Office, more than 21,000 pieces of orbital debris larger than 10 centimeters exist in orbit, along with 500,000 smaller pieces and more than 1 million pieces smaller than 1 centimeter. Generally, the policy identifies how DOD will promote international cooperation and commercial partnerships, drive changes within DOD space architectures and acquisition processes, and work to shape the space environment. Saving money on expensive space assets is another goal of the department, Plumb said, and working with allies and commercial partners can help accomplish this. The Defense Department has begun to work with commercial space companies to reduce department costs and to help energize the industrial base. “We [also] need to make sure that U.S. companies are able to compete fairly for international contracts,” Plumb added, referring to satellites and many systems, subsystems, parts and components that are controlled by the U.S. government for security reasons but that already are being sold commercially by companies around the world. In April, for example, officials from the Defense and State departments released a report that urged Congress to move communications and some remote-sensing satellites off the tightly controlled U.S. Munitions List and into the commercial enterprise. As an example, during a trip to Perth, Australia, last week, Defense Secretary Leon E. Panetta announced that the United States would place two key space systems in Australia. One system, an Air Force C-band space-surveillance radar, will track space assets and debris, increase the security of space-based systems and increase coverage of space objects in the Southern Hemisphere. The other system is an advanced U.S. space surveillance telescope designed and built by the Defense Advanced Research Projects Agency. In Australia, the system will help to leverage space surveillance capabilities for both nations, officials said. DOD also must be ready to mitigate the effects of attacks on its space systems, Plumb said. One way to do that, spelled out in the policy, is to plan for resilience in space systems, he added. “Resilience means being able to survive an attack,” the acting deputy assistant secretary said, and it means strategically distributing space capabilities among different satellites rather than putting many on one satellite. The second part “of mitigating the ability of an adversary to attack us would be to make sure that we can operate effectively on the battlefield even if our space capabilities are being degraded,” Plumb added. The growing threat to U.S. and allied space systems, he said, is real. “Other nations and nonstate actors are developing direct ascent anti-satellite weapons, jammers and ground-based lasers, all designed to interfere with or destroy satellites,” Plumb said. SCOTT AIR FORCE BASE, Ill., Nov. 20, 2012 – The new Joint Cyber Center here at U.S. Transportation Command is helping protect against persistent cyberattacks while ensuring secure, uninterrupted access to the networks that underpin the command’s global mission. Transcom gets more cyber attacks than nearly every other U.S. combatant command. The command experienced 44,551 “computer network events” during 2011 alone, and intrusion attempts are increasing, Air Force Gen. William M. Fraser III, Transcom’s commander, told Congress earlier this year. Those breaches, if not detected and defeated, could bring the military’s global transportation and distribution enterprises to their knees. Unlike most combatant commands that interface primarily with other secure military and government networks, Transcom relies heavily on commercial partners that deliver 70 percent of its supplies and passengers around the world, Fraser told legislators. Ninety percent of the command’s distribution and deployment transactions are conducted in cyberspace, he said, much of it using unclassified and commercial systems lacking the safeguards provided on dot-mil and dot-gov networks. Recognizing this vulnerability, Fraser identified unfettered access to secure information networks as one of four major focus areas in the command’s recently released five-year plan. The new Joint Cyber Center, established last spring, is taking the lead in this endeavor. As part of the Defense Department’s new cybersecurity strategy, Defense Secretary Leon E. Panetta last May directed every combatant command to stand up such a center, explained Air Force Col. David Johnson, chief of Transcom’s Joint Cyber Center. Panetta gave the combatant commands free rein to organize their centers based on their own requirements, spelling out 65 specific tasks to accomplish. He designated a transitional evaluation period to determine which structure proved most effective. Transcom already had a running start when Panetta’s mandate came down. About 10 years ago, far-sighted leaders at the command established an informal joint cyber center to protect their networks. That framework brought together the command’s plans and operations, communications and intelligence capabilities to confront the cyber challenge. The new JCC operates as a 24/7 command-and-control center, focusing on three basic functions, he explained. Working with other elements of Transcom’s Command, Control, Communications and Cyber Systems directorate, its members help secure the command’s information networks and help its partners secure theirs. The JCC also directs defensive operations to protect these networks and offensive operations to stop cyberattacks in progress. Johnson emphasized that unlike other combatant commands that could use offensive cyberspace operations to create a battlefield effect, Transcom concentrates primarily on defensive operations. Offensive cyberspace operations, if required, would be conducted by U.S. Cyber Command, and only to defend against an attack, he said. Johnson called Transcom’s decision to maintain an embedded intelligence cell within the JCC one of its strengths. “It gives us incredible insight into enemy capabilities and intent,” he said. The command’s efforts recently garnered Transcom the National Security Agency’s prestigious Frank Byron Rowlett Award for excellence in information systems security. Transcom has been a finalist in the competition for the last three years and won first place in 2003. To reinforce those weakest links, Transcom established a chiefs of information forum to help contractors improve their information assurance practices. The command’s acquisition directorate stood up a commercial executive advisory board to educate commercial vendors about the cyberthreat, and changed language in Transcom contracts to hold contractors to specific standards in protecting their data systems. Transcom also is considering creating a secure network for non-DOD contractors to use for communications concerning command missions. Contractors, recognizing their own vulnerability, are anxious to strengthen their cyberdefenses, Hume said. “This is a two-way street in that adversaries attempting to leverage access to [contractors’] networks to gain access to U.S. government data also enables them to gain access to their own corporate data and theoretically, undermine their business models,” he said. Johnson emphasized the fine line between espionage and a cyberattack. “If I break into your system and see what you are doing, it is only one more keystroke to disrupt what you are doing, because I am already into your network,” he said. “People don’t understand that once they are in there spying, it is exceptionally easy to change what they are doing and attack. It is just a matter of intent. WASHINGTON, Nov. 19, 2012 – As a cost- and time-saving measure, Defense Department officials have developed an experimental website to help government and industry stay up-to-date on developing projects that support the warfighter. The new site, Defense Innovation Marketplace, is part of the Defense Department’s Better Buying Power initiative to save DOD money, said Jack Blackhurst, a “customer” of DOD, and director of the Human Effectiveness Directorate at the Air Force Research Laboratory at Wright-Patterson Air Force Base, Ohio. “A human system is anything to do with performance of humans in a particular job -- airplane operator, submarine operator, soldier on [the] ground -- all humans who operate weapons systems,” Blackhurst said. Human systems ensure warfighters have the best equipment to do their jobs and improve performance, he said. The website is the only forum that increases communication among government, industry and academia, he said. The site, which is expected to save time and money, allows interested parties to learn about projects in development and what capabilities the government wants, he added. Industry and academic institutions now have the ability to “know what’s going on out there and then strategize for the government,” he noted. By first becoming familiar with information on the site, the marketplace can eliminate some conferences. Once they know about particular projects, people from DOD, industry and academia can meet later in a conference to talk specifics, saving time and money, according to Blackhurst. “There’s a wealth of information that doesn’t exist anywhere else,” he said. The site stems from communication issues between industry and DOD, said Ron Kurjanowicz, senior adviser to the secretary of defense for research and engineering. “We made the Defense Innovation Marketplace no more complicated than a one-stop shop where industry could find information about the investment priorities for DOD,” Kurjanowicz said. Feedback has been positive from industry officials,” he said, adding that the site is updated nearly every day. “It’s important in this climate of change that we talk about Better Buying Power to reduce costs in our acquisition program and activities, and this site presents that opportunity. We’re out of Iraq and getting out of Afghanistan, so new capabilities will be needed in the future,” Kurjanowicz said. “Industry needs to know where DOD is making its changes, so they can align their investments with the capabilities of the future. The marketplace is one of those places to keep them connected,” he said. As a result, taxpayers also benefit, he said. Industry’s payoff, Kurjanowicz said, lies in knowing where DOD is going on its projects, he said. “We want to do things smarter, and we think this is an opportunity to do that,” he added. 11/19/2012 - MISAWA AIR BASE, Japan -- Many Misawa Air Base service members have heard the call to conserve energy and resources. Some have even signed pledges to be more energy efficient at work and home. Now, the 35th Civil Engineer Squadron has someone with one eye on the base's energy usage, and the other eye on a checklist. Cari Schroeder, 35th CES resource efficiency manager, is the guru with the eyes on the energy prize. Armed with her small pickup truck, clipboard and an assistant, she performs spot inspections on the base's industrial buildings to include aircraft hangers, dorms, gyms and work centers. Some of the discrepancies they look for are buildings that haven't been upgraded with motion sensors for lights, energy efficient light bulbs and low flow faucets. She also seeks out appliances that have been modified, decreasing their efficiency. Some modifications include breaking automatic thermostat housings in order to manually regulate the heat, Schroeder said. She also looks for modified heaters. These heaters have had their thermostats removed or adjusted to keep them running hotter, longer. These heaters are not only less efficient but dangerous too. "The reason we do building walkthroughs, is to look for no-cost or low-cost opportunities to make buildings more energy efficient and safe," said Schroeder. "My goal is to do a walkthrough for every building in the 35th Fighter Wing." When Schroeder finds discrepancies or areas of improvement, she notifies the facility manager of the issues and gives recommendations on how to fix them. She also prepares work request orders for upgrades in previously inspected buildings. "Inspections like this are good," said Junya Fujihashi, 35th Force Support Squadron Misawa Inn operations manager. "Sometimes you need someone to come around and check out how you're doing business." During these inspections, Schroeder understands people forget to shut off the lights when they leave a room. On that note, she also understands that inspecting with an iron fist, or yelling at them about issues, isn't always the right way. "The best thing we can do is to keep the lines of communication open," said Schroeder. "This is so the facility managers know we're their friends and not their enemies. The more we communicate with facility managers, the more likely they will reach out to us when there is a problem." These inspections are not meant to burden units, but to change the way people think about energy usage, she added. "It's nice to perform these inspections with someone who has been an energy manager for a while," said Kelly Sussman, assistant to the 35th Civil Engineer Squadron resource efficiency manager. "Experiences like this really open my eyes to my own energy usage at home. It also prepares people for when they need to go somewhere else and start paying for their own energy. It really makes us think of the future." Brigadier General Martin Menter, in his May 1959 thesis, asserted that the Roman theory maxim ex facto oritur jus (law rises from fact) was appropriate for developing space law. His was one of the first legal treatises on space law anywhere. He especially was concerned with the effects of space activity on the concept of sovereignty and, from the 1960s onward, was an international leader in the fields of aeronautical and space law. WEST BETHESDA, Md. (NNS) -- Naval Surface Warfare Center (NSWC) Carderock received a patent Nov. 13 for their discovery and development of a new smart material called Galfenol. Galfenol is a magnetostrictive smart material that can be used in sensors, actuators and structural supports. The material was co-discovered in 1999 by NSWC Carderock and the Department of Energy's Ames Laboratory and has been in development for the past 13 years in partnership with Etrema Products Inc.
"By itself, iron has the characteristics to be considered a magnetostrictive material, which is material that changes shape when a magnetic field or pressure is applied to it," explained NSWC Carderock senior research scientist, Marilyn Wun-Fogle. "In 1999, we discovered that combining iron with gallium amplifies iron's magnetostrictive capability tenfold. Iron-gallium, or Galfenol, is ductile [capable of being drawn out into wire or thread], stable over a wide temperature range and has energy-harvesting capabilities." Magnetostrictive materials, such as Galfenol, are of interest to the Navy because they can be used to make actuators and sonar transducers that are used in ships and submarines. Currently, actuators and sonar transducers are made of a material that is more brittle than Galfenol. Galfenol can be used in structural supports for vibrating pieces of machinery such as a generator. As the piece of machinery is running, Galfenol can capture the vibrational energy which can be re-harvested. As a result, less energy is transmitted to the hull of the ship or submarine, which could reduce its acoustic footprint. "Galfenol can be machined and welded with common metalworking tools which makes it very versatile," continued Wun-Fogle. "Plus, it is magnetostrictively active under tensile stress conditions up to approximately 150 degrees Celsius and to much higher temperatures under compressive stress conditions." Initially funded by the Office of Naval Research (ONR), the Department of Energy and NSWC Carderock's In-House Laboratory Independent Research Program, continued development of Galfenol is being funded by ONR and the Small Business Innovation Research Program. "For more than a decade, we have teamed with our partners to design Galfenol as well as develop processes to produce the material in large solid form, rolled sheets, and more recently, wires," said NSWC Carderock's senior research scientist James Restorff. "The wide variety of forms allows Galfenol-based parts to be used in a variety of new applications, both commercial and military." Research into metal alloys such as Galfenol is tied to NSWC Carderock's technical capability in supporting surface, undersea and weapon vehicle materials. Under this technical capability, NSWC Carderock certifies and validates technical fleet material requirements; identifies materials and fabrication processes; develops and validates chemical formulations; and develops materials and processes for survivability and signature reduction. NSWC Carderock's responsibilities span a broad range including science and technology, research and development, test and evaluation, product delivery and fleet support. NSWC Carderock leads the Navy in hull, mechanical and electrical engineering expertise and delivers technical solutions in order to build and sustain a dominant, ready and affordable fleet. Headquartered in West Bethesda, Md., approximately 3,600 scientists, engineers, technicians and support personnel are located across the United States, which includes the Ship Systems Engineering Station in Philadelphia.